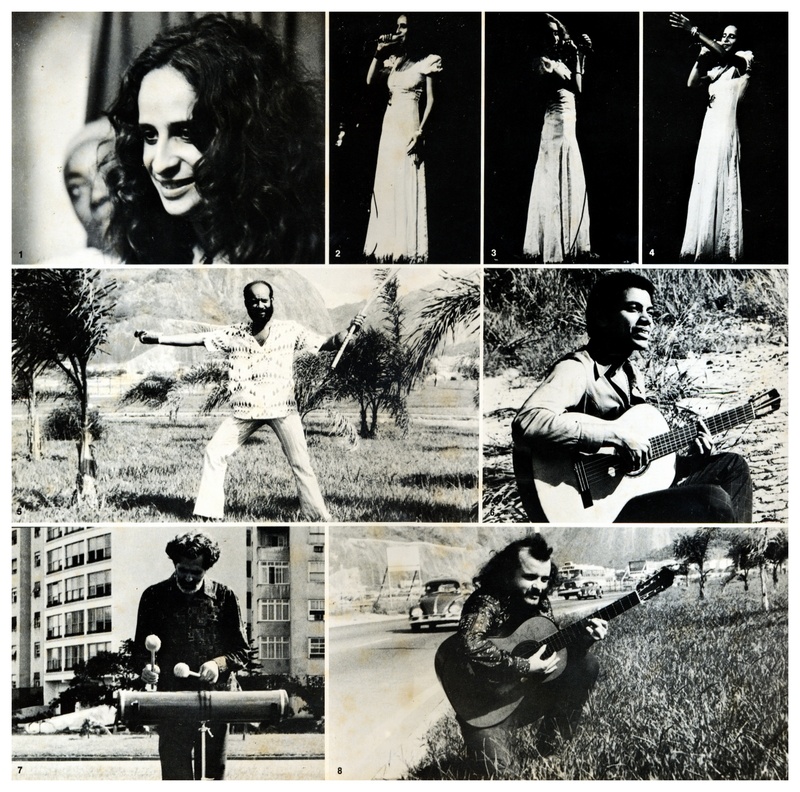 I think most of you had already the chance to know Folklore and Bossa Nova do Brazil (1966), with a studio recording of an anthological tour of Bossa Nova artists in Germany, featuring Chico Batera, Dom Salvador, Edu Lobo, J.T. Meirelles, Jorge Arena, Rosinha de Valenca, Rubens Bassini and Sylvia Telles. What I did not know, in spite of seen more than a hundred times this fantastic cover at Caetano Rodrigues Bossa Nova book, was the existance of a second tour with another studio record called Nova Bossa Nova, presented here with a great surprise of mine and probably yours, especially by the unusual mix of performers. Let’s see. 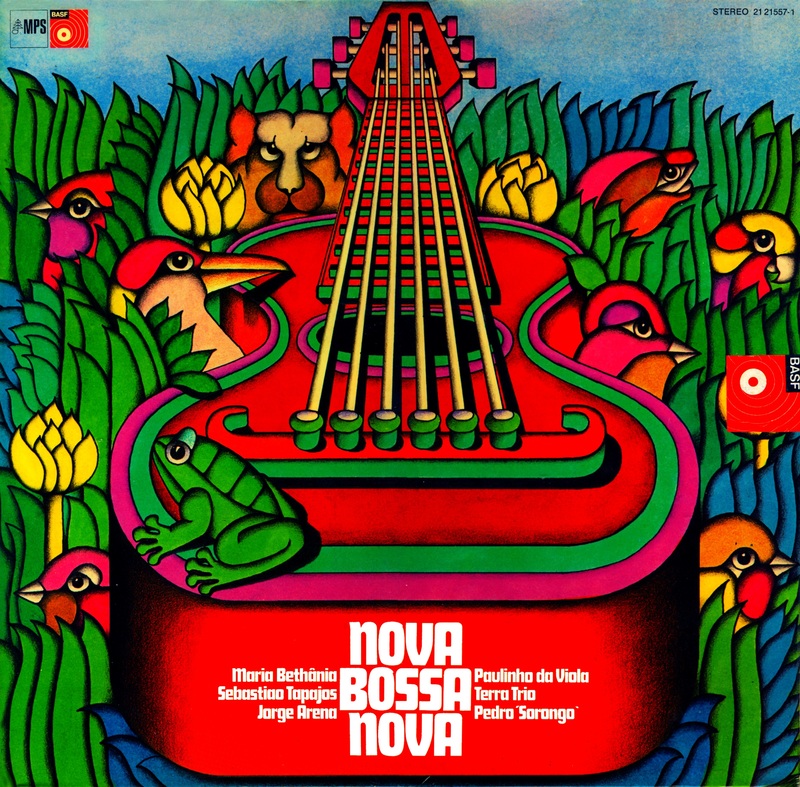 This is Nova Bossa Nova (1972), for MPS (Germany), featuring our last challenge answer with Maria Bethania, Paulinho da Viola, Sebastiao Tapajos, Jorge Arena and Pedro “Sorongo” Santos. I’m presenting here the original Germany MPS Records release and I heard about an equivalent Brazilian release by Copacabana, not confirmed information. 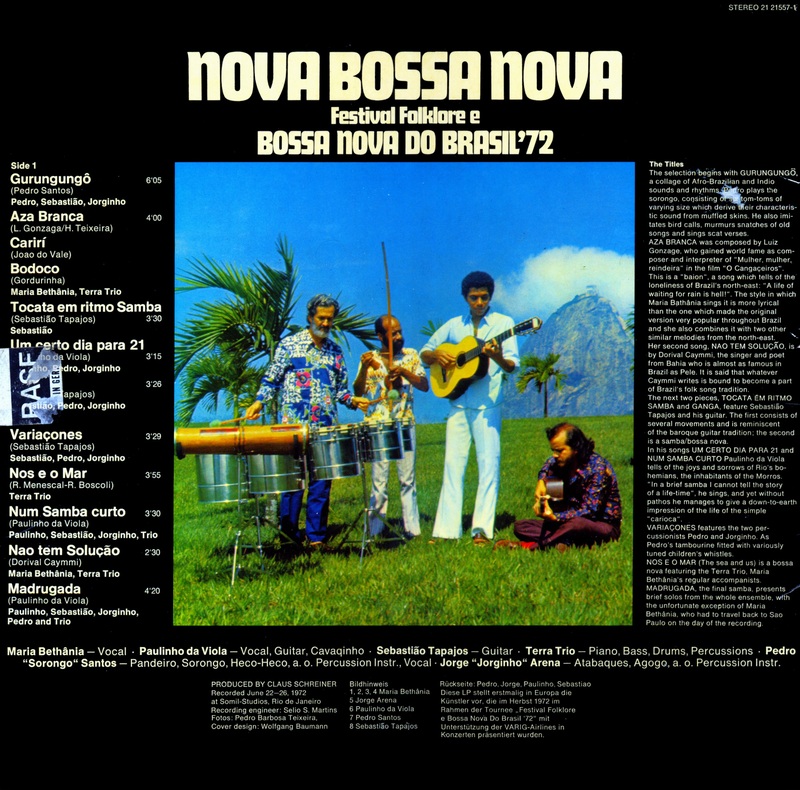 Nova Bossa Nova should make the day of several segments with lots of percussion by Jorge Arena and Sorongo, instrumental cuts with Sebastiao Tapajos violao with bass, drums and piano of Terra Trio, the singing of Maria Bethania and the always-elegant Samba delivered by Paulinho da Viola. This entry was posted on December 24, 2010 at 5:03 am and is filed under Bossa Nova, Brasil music, LP downloads. You can follow any responses to this entry through the RSS 2.0 feed. You can leave a response, or trackback from your own site. Álbum repleto de surpresas. Reuniu artistas variados, mas que deu num ótimo resultado. Bem Afro-Brasileiro. Especial atenção á Sebastião Tapajós e Pedro”Sorongo”dos Santos. Todos são “feras”. Ricardo Garcia, eu cheguei a baixar este disco, mas perdi o cd que tinha gravado e o link já está invalidado. Poderia por favor me mandar as músicas de alguma maneira? Aguardo retorno. The link is dead, unfortunately. I hope it could be replaced. the link is back for download. Este link está inválido, poderia postar um novo link?